The Day We Left Field, prairie de son et lumière suspendue entre la terre et le ciel au 23ème étage du gratte-ciel Farol Santander à Sao Paulo, Brésil. Tundra members work in the Taiga arts community, an underground movement and a co-working and living space in Saint-Petersburg. Tundra's large-scale audiovisual performances and interactive installations alter spaces and perceptions, culminating in an emotionally cathartic experience for anyone within range. The collective's ambient, strangely soothing industrial sounds permeate 360-degree visuals and architectural structures made only of light in motion, reacting to people's movements and actions. Tundra's collaborative team of musicians, sound engineers, programmers and visual artists draws on interactive art practices as well as members'' backgrounds in commercial scenography and advertising. Installed at festivals, museums, galleries and commercial spaces across Europe, Russia and Asia, their art is always meant as a personal yet shared experience, part of a collective conversation. Tundra's international rise in noteriety came in 2013 when they visualized the emptiness of the void and created a well-lit way to enter it (Void 2.0 launched in 2017 with music by 404.zero), followed by the My Whale installation on a ship anchored on a river in Moscow – images from participants' phones merged into a panoramic burst and hexagonal pattern of cells on the vaulted ceiling, pulsating to the rhythm of whale song (recreated later as a tunnel of light in Seoul's D MUSEUM). At Houston's Day For Night festival in 2016, Tundra installed Outlines, a grid of 252 individually controlled red lasers arranged over several hundred feet on the second floor of a massive concrete post office turned venue. Tundra's latest projects have involved visitors venturing into the bright, flashing epicenter of moving-head light-beam installations, transforming large indoor spaces all over the world. 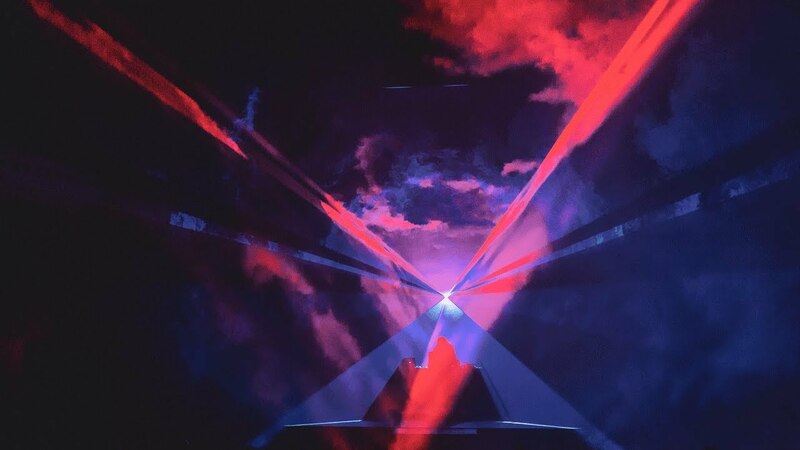 At MUTEK, Tundra presents the world premiere of Laser Live, a brand new, live audiovisual work that bathes the audience in pointed laser work, fields of moving light and an equally compelling sonic atmosphere.